Nothing says summer quite like an evening spent relaxing in your sunroom. But mildewed floors, faded prints, and matted rugs can turn your stay-cation into a homeowner’s nightmare. Sound familiar? Then maybe it’s time to replace your sunroom floors. When picking out new flooring options, it’s important to think of how you will be using the space, how much moisture your flooring will be exposed to, and the daily maintenance that will be required. 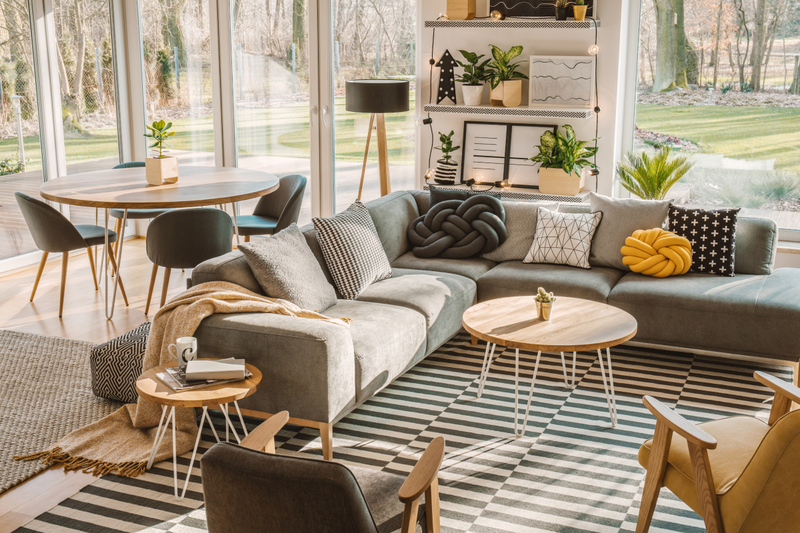 Luckily, there are plenty of incredible sunroom flooring options to fit every lifestyle and budget due to today’s technology. Carpet is a great choice for creating a cozy, low maintenance sunroom. 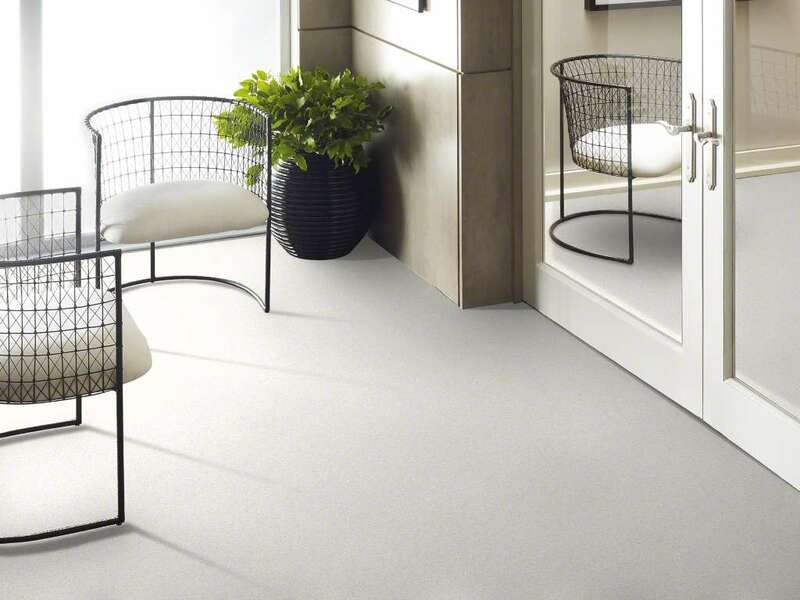 Indoor/outdoor carpets are especially resilient and require relatively low maintenance. Carpet is also a good option for keeping your floor at a comfortable temperature since it stays relatively cool in the summer while still holding heat in the winter. The high exposure to sunlight may cause carpet to fade over time, so consider selecting a lighter print. Not sure where to start? Be sure to take a few minutes to discuss ways to extend your carpet’s long-term durability with a friendly member of the Village Carpet Shop staff. We can also help you pick the right texture, color, and density to fit your needs and the needs of your specific room. Ceramic tile is one of the most versatile options for your sunroom. Tile is low maintenance and has a scratch and water-resistant surface that is easily cleaned and repaired. This is a great choice for high traffic sunrooms. However, because tile is naturally energy efficient, it can hold high levels of heat/cold when exposed to the outdoors, which can be a bit shocking on bare feet. Choosing a light colored design can help reduce this issue in the summer, and adding a thermostatically controlled heated floor system can help create a relaxing sunroom all year long. Hardwood floors give a classic elegance to any sunroom, but not all wood floors are ideal for outdoor exposure. Hardwood flooring can be considered for glass-enclosed sunrooms with little to no moisture exposure but is a poor choice for screened-in rooms. If you absolutely love the thought of hardwood floors, light-colored, oil-based stains are best. Large area rugs are also key for heat retention in the colder winter months. Laminate flooring has come a long way. With high-quality laminate flooring now made to look and feel like hardwood, tile, or stone, choosing laminate is a great way to create a stylish sunroom at a lower cost. This option is particularly beneficial due to water resistant and UV protective coatings to make sure your laminate floors are suited to handle the weather conditions in your area and in particular rooms like a sunroom, bathroom, or kitchen. Luxury vinyl tiles (LVT) are a popular option for many businesses and commercial properties. However, in the past few years, they have also seen a rise in popularity with homeowners due to their extreme durability. LVT gives you the stylish appearance of real stone or hardwood at an affordable price. Additionally, their water-resistant design makes them easy to maintain despite the potential moisture in more humid climates. Higher quality backing and other optional upgrades can also help to make vinyl tiles an ideal fit for your sunroom. The flooring possibilities for your sunroom, as well as other rooms in your home, are endless. 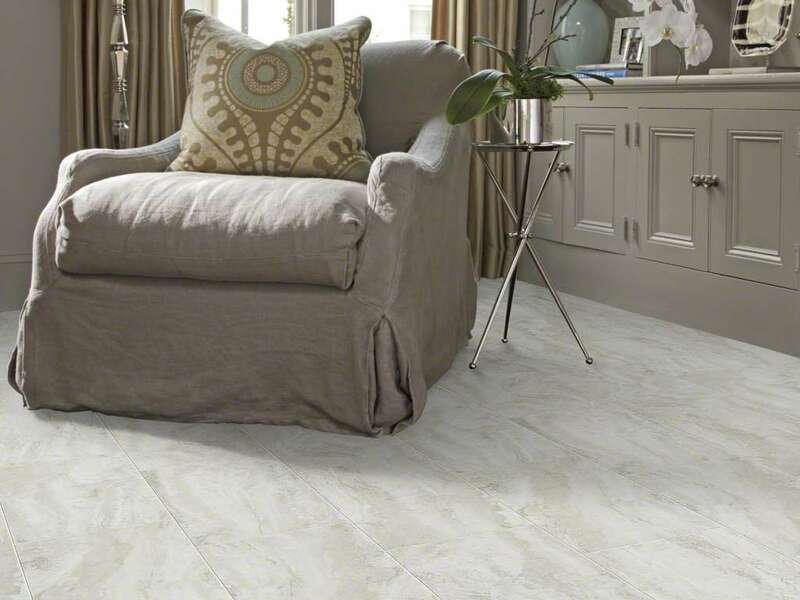 With different prints, moisture resistance, and maintenance requirements available in every flooring type, it can be hard to know which option is best suited for your individual needs. Come in today and let our friendly staff at Village Carpet Shop help narrow down your options. With a wide variety of in-stock flooring and years of experience, we are here to help with everything from selection and sale to installation and repairs. Come in and see us or click here to schedule your FREE FLOORING ESTIMATE!